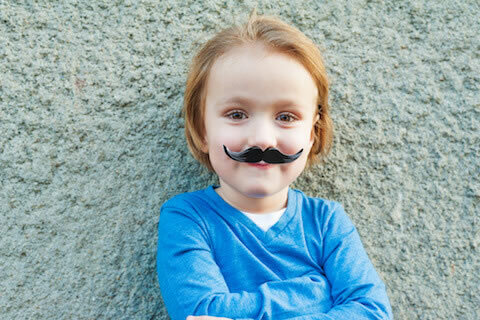 Welcome, this week new research shows that perseverance pays off even for babies, and a reminder about Movember and how you can get involved. There's nothing like a good work ethic to propel you forward in life and according to a study by the world renowned Massachusetts Institute of Technology (MIT), even babies can be taught that hard work pays off. Researchers found that tots as young as 15 months can learn the value of effort by watching adults struggle with tasks and then succeed. For this study, researchers enlisted the help of a group of babies. Half of the bubs watched as an adult struggled to remove a toy from a container and take off a key chain, before finally succeeding. In comparison, the other half witnessed a grown-up easily completing those tasks. Sometimes being a man isn't all beer and skittles. Whether work is getting them down or they're struggling with the demands of fatherhood, there are many reasons why a guy might be going through a hard time. If you're worried about a man in your life, then Movember (or November as it was once known) is a great opportunity to reach out and talk things through. Here's how you can start a conversation and support a dad, grandad or any bloke who's doing it tough.